EMG biofeedback procedures in which patients are shown their levels of masticatory muscle tension and taught to recognize and then control tension levels is a highly effective way to treat muscle tension-based orofacial pain. Biofeedback-based interventions are at least as effective as traditional dental and medical therapeutic approaches for muscle related pain and may last indefinitely. Biofeedback for recognizing and then controlling sustained levels of jaw muscle tension works best when patients learn the skills thoroughly and then continue to practice them. Patients will probably benefit most by consulting with well-skilled and appropriately credentialed biofeedback providers . 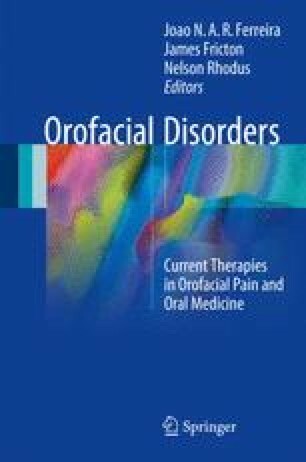 Hypnosis and hypnotherapy could also contribute to management of the orofacial pain by adding the elements of altering pain perception and experience, and improving motivation to respond to treatment. Acquisition and maintenance of a low level generalized relaxation state is counter to the experience of TMD pain.